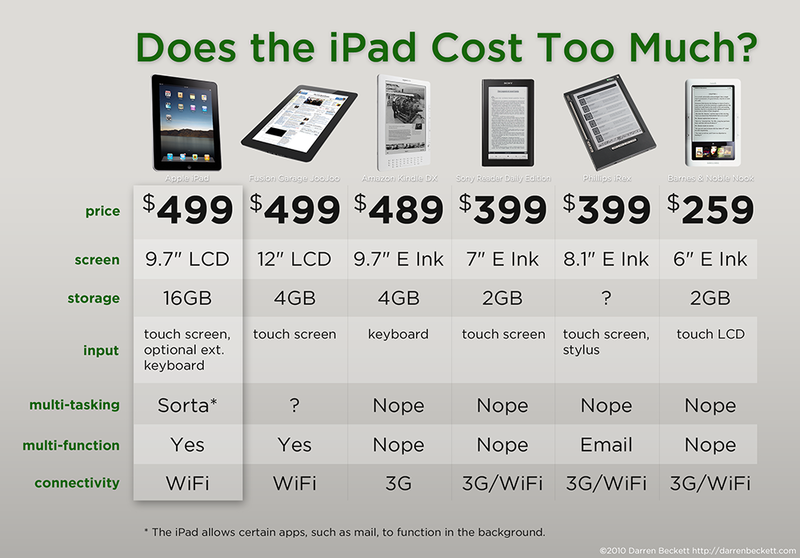 We have mentioned before that the iPad offers iBooks, a book shelf and eBook reader. There will be people that will buy the iPad as a ebook reader due to it’s color screen and UI of paper like flipping pages. It is on a very short list of readers that offer color, so images in a book are not downgraded. The eInk screens of many other specialized readers are designed to be easy on the eyes for long reading… most computer screens are not great for reading books on. Let alone pretty hard to relax with a keyboard in your lap. The iPad could be thought of as an eBook reader, that you can also do your book report on using other sources like Web sites and suggestions from friends than add some pictures to the report, maybe some background mood music… yes, there is an app for that.